A Happy Healthy Mummy: 5 healthy things to do today! 5 healthy things to do today! Hands up who fancies a dance? 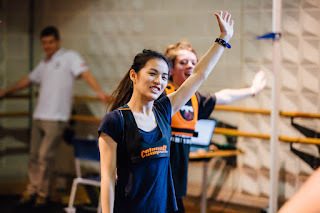 If you can't face cardio you'll be pleased to hear that new research from the University of Brighton has found that certain styles of dance can burn more calories per hour than cycling, running, or swimming. The boffins worked with classes at City Academy and discovered that those taking part in contemporary, street and swing dance classes burnt more calories than they would if they'd spent their time running, swimming or cycling. The results even showed that ballet, often thought of as a light- to mild- intensity style of dance, involved moments of severe intensity exercises throughout the session. Better still, the dancers also experienced the same mood-lifting and energising effects that others forms of exercise produce. Making dance a fun and sustainable way to keep fit! A recent study by Infacol found that three out of four mums thought walking with your baby is the best way to get back into exercise and fitness post-baby. Not only will the exercise help you cope with the stress and strain of having a new baby, a brisk walk reduces your risk of heart disease and helps you sleep better. A colicky baby might also benefit from a jaunt - with the movement helping to soothe and settle them. Expert Midwife Nikki Khan thinks it's important to look after yourself when caring for a child, adding 'a happy mum will often mean a happy baby'. What are you cooking up for 2016? Looking for dinner inspiration that helps you keep your New Year healthy eating resolutions without breaking the bank? Then leeks are your answer! 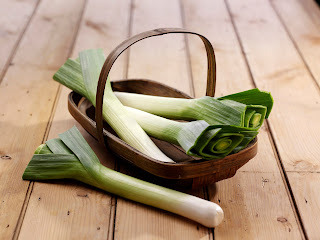 In season right now, British leeks are ideal for detoxing because they contain potassium, folic acid and vitamin C. This humble veg can also help reduce cholesterol levels and is full of anti-oxidants and rich in iron, vitamin B6, folate and vitamin C to keep winter colds and sore throats at bay. And an average serving of leeks (80g or one leek) contains just 17 calories! But don't stop at leek and potato soup, visit the British leek website for delicious, healthy recipes developed by a host of leading British chefs, food writers and bloggers. 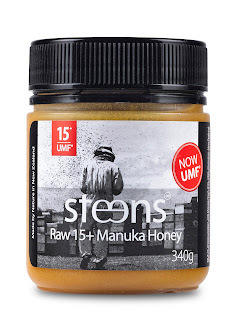 Honey is well-known for its antibacterial and immune-boosting properties but switching to a raw and cold pressed version like Steens will ensure that all of the nutritional benefits including amino acids and enzymes are not ‘burnt out’. Use it as a daily boost to prevent any winter bugs taking hold by adding it to tea or warm water or as sore throat remedy. it can even help to soothe bloating or digestive issues. Last year a study revealed that lifestyle factors increase the risk of sight loss regardless of a person’s genetic make-up. Smoking was found to pose the biggest modifiable risk to sight loss, with optometrist David Cartwright, explaining that 'half of all sight loss is avoidable'. As well as quitting smoking, you can reduce your risk of sight loss by eating the eye-friendly nutrients found in many fruit and vegetables and fatty acids derived from fish, nuts and oils, ensuring you eat enough vitamins B and E to protect against cataracts, and consuming Omega-3 fish oils to help maintain healthy blood vessels inside the eye. You should also maintain a healthy weight, which helps to protect the retina against the breakdown of cells (excess body weight has also been linked to glaucoma) - and workout - as aerobic exercise can help increase oxygen supplies to the optic nerve and lower any pressure that builds up in the eye. You should also avoid exposure to UV light, which increases your risk of developing cataracts and macular degeneration, by wearing sunglasses with a CE or British Standard or UV 400 mark. Finally, avoid eye strain by using the 20-20-20 rule, especially if you’re using a computer for long periods of time. Look 20 feet in front of you every 20 minutes for 20 seconds. For more advice visit the National Eye Health Week's page.